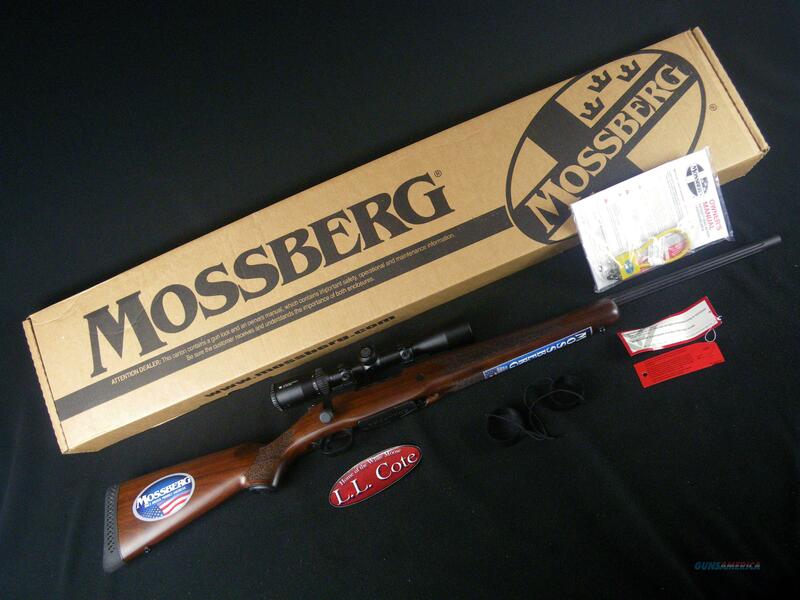 Description: You are bidding on a Mossberg Patriot in 6.5 Creedmoor with a 22" barrel. The Mossberg Patriot Vortex Scoped combo bolt action rifle comes with a standard list of features that will leave all other combo rifles in the dust. Mossberg's collaboration with Vortex optics has created some of the best packaged out of the box rifles you can buy. Most of the time, combo rifles include inexpensive low quality optics, but not in the case of the Mossberg Patriot. In addition to all the features that make the Mossberg Patriot stellar such as a fluted barrel/bolt knob, detachable box magazine, and LBA adjustable trigger; you combine that with a Vortex Crossfire II rifle scope and you have a package that is incredible hard to beat. The Vortex Crossfire II is a 3-9x40 scope and it comes with the standard Dead-Hold Bullet Drop Compensating reticle which allows you to account for different bullet drop across a variety of loads. Displayed images are stock photos. Any questions please feel free to ask (our phone number is in the additional information tab above).